Edmodo - All about apps in YOUR classroom! Have you thought about incorporating Facebook or other social networking sites into your classroom for educational purposes? Have you tried online forums or cloud servers to allows students the opportunity to turn in assignments online? If you have answered yes to ANY of these questions, Edmodo has ALL of your solutions wrapped into one site! Create a discussion post as to which character in the story was the villain or hero and what evidence supports their claim using complete sentences. Posting an online assignment of the week that requires students to create a scale drawing of their house (I would recommend the support app Educreations for this portion) and describe the attributes of the dimensions that make their home unique. Developing stronger group skills within the class by creating small groups within the class. Many introverts feel more comfortable posting online than speaking up in a face-to-face situation, so this may assist with many of the shy students in class. Having students post their work online and having their peers review the work by replying in complete sentences. This is a very powerful took in all subject areas. There are so many more opportunities for the integration of Edmodo into your classroom. If you would like more specific ideas for your setting, please feel free to email us. This is a FREE app!!! Of all the apps that I use in my class, this may get the most mileage! 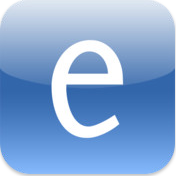 There is so much more to Edmodo, so download it and get going TODAY!